As with most things in life, we tend to focus a disproportionate amount of energy on why things are different instead of what they share in common. We often write about things like new Windows 10 features you’ll love 11+ New Features Coming to Windows 10 in 2017 11+ New Features Coming to Windows 10 in 2017 The Windows 10 Creators Update is due in Spring 2017. We compiled the biggest updates and new features you can look forward to. Read More or reasons why you should switch to Linux 5 Reasons Why Windows 10 Might Make You Switch to Linux 5 Reasons Why Windows 10 Might Make You Switch to Linux Despite Windows 10's huge takeup, there has been plenty of criticism for Microsoft's new everlasting operating system. 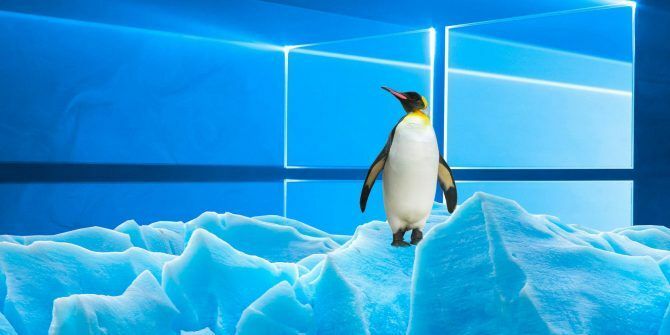 Here are five top reasons why Windows 10 might irk you enough to make the switch to Linux. Read More . But maybe we’re all doing ourselves a big disservice. Instead of nitpicking how Linux has this or Windows lacks that, perhaps we should celebrate that both operating systems are robust, effective, and feature complete. In the end, the differences don’t really matter. Here are 10 big-picture similarities shared by Windows and Linux. Just as I like to run separate Chrome profiles, I prefer to keep separate operating system user accounts. It may be slightly cumbersome, but it just seems like a smart move to me, especially for organization and productivity. One account for personal stuff, one for work, and one for administration. And both Windows and Linux provide lots of control over user accounts. On Windows, it’s incredibly easy to manage multiple accounts 5 Tips for Managing Windows User Accounts Like a Pro 5 Tips for Managing Windows User Accounts Like a Pro Windows user accounts have evolved from isolated local accounts to online accounts with various privacy challenges. We help you sort out your accounts and find the settings that work for you. Read More , to lock down accounts for security How to Lock Down Windows User Accounts How to Lock Down Windows User Accounts Letting people use your computer while you're gone could lead to problems. We show you how to restrict Windows features on standard or child accounts so others can't access sensitive info. Read More , and to maintain an administrator account Windows Administrator Account: Everything You Need to Know Windows Administrator Account: Everything You Need to Know Starting with Windows Vista, the built-in Windows Administrator account is disabled by default. You can enable it, but do so at your own risk! We show you how. Read More . One could argue that the User Account Control feature is annoying Stop Annoying UAC Prompts - How To Create A User Account Control Whitelist [Windows] Stop Annoying UAC Prompts - How To Create A User Account Control Whitelist [Windows] Ever since Vista, we Windows users have been pestered, bugged, annoyed, and tired of the User Account Control (UAC) prompt telling us a program is starting up that we intentionally launched. Sure, it has improved,... Read More , but it’s important for security and only a mild inconvenience at worst. Linux can do all of the same What Is SU & Why Is It Important to Using Linux Effectively? What Is SU & Why Is It Important to Using Linux Effectively? The Linux SU or root user account is a powerful tool that can be helpful when used correctly or devastating if used recklessly. Let's look at why you should be responsible when using SU. Read More , plus a bit more. They’re both great. People like to point at Windows and cry about how this feature or that feature was stolen from Linux or Mac. But here’s one feature that Microsoft actually pioneered way back in 1985 with Windows 1.0: the Alt + Tab switcher. It was called “CoolSwitch” back then, eventually being renamed to “Task Switcher” in Windows 95 and “Windows Flip” in Windows Vista. 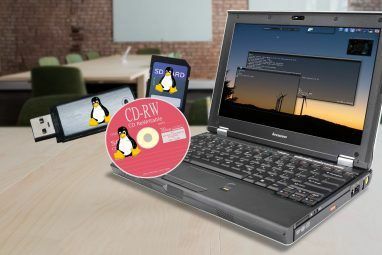 So useful was this feature that various Linux desktop environments The 12 Best Linux Desktop Environments The 12 Best Linux Desktop Environments Picking a Linux desktop environment can be difficult. Here are the best Linux desktop environments to consider. Read More , including KDE and GNOME, incorporated their own versions of it. Can you imagine using a modern computer without the Alt + Tab shortcut? What a nightmare that’d be! Windows and Linux “steal” features from each other all the time. If Alt + Tab is an example of Windows to Linux, then Task View (and Virtual Desktops below) is an example of Linux to Windows. With the release of a compositing window manager called Compiz in 2006, Linux users gained all kinds of cool window management features — like the ability to spread all open windows on the screen and quickly switch between them with a click. The Mac equivalent is Mission Control (formerly Dashboard and Exposé). Windows 10 finally introduced something similar in the Task View feature An Introduction to Virtual Desktop & Task View in Windows 10 An Introduction to Virtual Desktop & Task View in Windows 10 Windows 10's new Virtual Desktop and Task View features are quality-of-life enhancements that you shouldn't overlook. 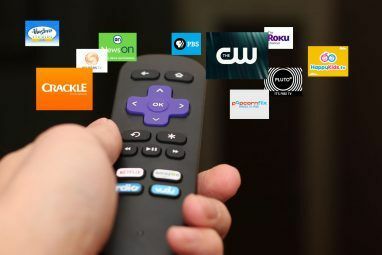 Here's why they are useful and how you can start benefiting from them right now. Read More . Using the Windows key + Tab shortcut (or three-finger up-swipe on tablets 18 Essential Touch Gestures in Windows 10 18 Essential Touch Gestures in Windows 10 Touch gestures are like keyboard shortcuts for your touchpad and touchscreen. And with Windows 10, they have finally become useful! We'll show you how to access the full potential of touch gestures. Read More ), you can get a bird’s eye view of all open windows. It’s indispensable when you have dozens of active apps. A “virtual desktop” lets you keep separate sets of open windows in separate spaces 5 Ways to Improve Virtual Desktops in Windows 10 5 Ways to Improve Virtual Desktops in Windows 10 Virtual Desktops can help you expand and organize your desktop. Here we show you how to improve and productively use Windows 10's Task View feature. Read More to minimize clutter and maximize organization. For example, I keep three virtual desktops: one for email and music, one for work and research, and one for leisure activities. In other words, a virtual desktop is essentially a workspace. Linux first implemented virtual desktop functionality in 1990 whereas Microsoft stubbornly overlooked it for many years before finally adding it to Windows 10 in 2015. It only took 25 years to catch up, but now both operating systems are well-equipped for heavy-duty productivity. One of the biggest differences between Windows and Linux is software availability. A lot of business apps and commercial games only run on Windows The Best PC Software for Your Windows Computer The Best PC Software for Your Windows Computer Want the best PC software for your Windows computer? Our massive list collects the best and safest programs for all needs. Read More . On the other hand, Linux also has a bunch of exclusive apps 10 Exclusive Linux Apps You Won't Find on Windows 10 Exclusive Linux Apps You Won't Find on Windows Moving from Windows, you'll find there are plenty of apps you can use to supplant your old proprietary software. You'll even find a selection of impressive applications and tools exclusive to Linux. Read More . But for many users, these exclusive apps don’t matter. As someone who regularly uses Windows, Linux, and Mac, I can confidently say that 95 percent of the apps I use are available on all three platforms: VLC, LibreOffice, Spotify, Visual Studio Code, all major web browsers, etc. Many apps also have web versions (e.g. OneNote) that work across platforms. And for the rare app that’s only available on one platform, finding an alternative is easy enough 14 Free & Open Source Alternatives For Paid Software 14 Free & Open Source Alternatives For Paid Software Don't waste money on software for personal use! Not only do free alternatives exist, they most likely offer all the features you need and may be easier and safer to use. Read More . Ultimately, this means that my experiences on Windows and Linux are virtually identical as far as apps go. Task automation is an important part of every power user’s kit. Not only does it free up time and energy for other stuff, but setting up an automated task can be a fun and satisfying mental exercise. And even though “task automation” sounds like more of a Linux thing, Windows is pretty good at it too. On Linux, you’ll most likely want to use Cron. Cron is a background system service that periodically checks for scheduled tasks (called “cron jobs”) and runs them at the right times. Though some command line proficiency is recommended, there are tools to help you create cron jobs without the command line. See our guide to using Cron and Crontab How to Schedule Tasks in Linux with Cron and Crontab How to Schedule Tasks in Linux with Cron and Crontab The ability to automate tasks is one of those futuristic technologies that is already here. Every Linux user can benefit from scheduling system and user tasks, thanks to cron, an easy-to-use background service. Read More . On Windows, you’ll most likely want to use Task Scheduler. It’s entirely graphical and every task setup runs you through a wizard, so it’s very easy to use even if you aren’t tech-savvy. Here are some nifty examples of what Task Scheduler can do 7 Nerdy Things You Can Automate with the Windows Task Scheduler 7 Nerdy Things You Can Automate with the Windows Task Scheduler The Windows Task Scheduler can automate almost anything. If you can make it happen in a command line or a Windows script, you can schedule it with the Task Scheduler. Let us demonstrate. Read More as well as new Task Scheduler features in Windows 10 The Windows 10 Task Scheduler Gives You More Power The Windows 10 Task Scheduler Gives You More Power The Task Scheduler automatically executes events in the background. In Windows 10, Battery Saver mode modifies the Task Scheduler to use less energy. We'll show you how to take advantage of this feature and more. Read More . I think we’re heading into an era where “Linux versus Windows” will no longer be a thing for most people. Not only is cross-platform software on the rise (see Commonality #5 above), but it seems like the developers behind each operating system are growing more open to cooperation. One huge example of this is how PowerShell can be used on Linux How to Install and Use PowerShell on Linux How to Install and Use PowerShell on Linux In 2016, Microsoft open-sourced PowerShell and debuted a cross-platform iteration. In this article I'm going to show you how to install, run, and use PowerShell on Linux! Read More and Bash can be used on Windows 10 A Quick Guide to Linux Bash Shell in Windows 10 A Quick Guide to Linux Bash Shell in Windows 10 You can now run Linux on Windows. Learn more about Bash on Windows, from how and why you should install it, to hidden features you probably didn't know about. Read More . They both have their pros and cons, but it doesn’t matter because you don’t have to choose between them anymore. You can use both! Another big example: Microsoft open sourced the .NET Framework in 2014 A GNU Beginning For Microsoft: What An Open Source .NET Framework Means For The Rest Of Us A GNU Beginning For Microsoft: What An Open Source .NET Framework Means For The Rest Of Us Microsoft just released a significant part of its code under a permissive open source license. This move breaks with years of tradition. But why and what does it mean for you? Read More , making it easier to create cross-platform apps. To most people, Linux is more of a server operating system 12 Best Linux Server Operating Systems and Who Should Use Them 12 Best Linux Server Operating Systems and Who Should Use Them Building a server? Linux is ideal, typically offering enhanced permissions, increased flexibility, and stability. But which one should you choose? Check out the 12 best Linux server operating systems and who should use them. Read More while Windows is more of a desktop operating system. Actually, both can be used for both. I know several “casual” users who only email and write papers on Ubuntu, and Windows has long offered “server” versions. Windows Server has been around since 2003 and releases a new upgrade about once every four years. The latest version as of this writing is Windows Server 2016. 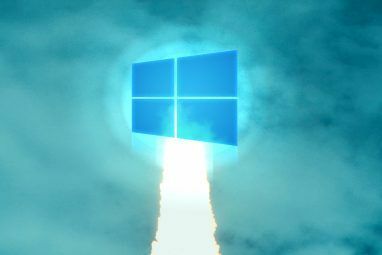 And even though Windows has a reputation for being unstable or crash-prone, Windows Server is notably stable. You’d be surprised at how many businesses run on it. Two big cyber security myths need to die: first, Windows is more secure than you think, and second, Linux is less secure than you think. Of course Linux is generally safer than Windows, but my point is that Linux isn’t perfect and Windows is no longer the malware-ridden hunk of junk that it once was. We have to remember that Windows still makes up over 90 percent of the desktop market, so malware creators mainly target Windows users. More malware in the wild, more chances for an infection. That being said, it’s possible to be a Windows user and never catch malware. In the end, both systems need antivirus software for utmost security. Check out these free antivirus apps for Windows and these free antivirus apps for Linux. Both Windows and Linux come in 32-bit and 64-bit options What's the Difference Between 32-Bit and 64-Bit Windows? What's the Difference Between 32-Bit and 64-Bit Windows? What's the difference between 32-bit and 64-bit Windows? Here's a simple explanation and how to check which version you have. Read More . An older machine can get by on the 32-bit version, but any machine with more than 4 GB of RAM needs to run a 64-bit version in order to make full use of all that memory. To learn more about why, see our explanation of 64-bit computing What Is 64-bit Computing? What Is 64-bit Computing? The packaging of a computer or computer hardware is crowded with technical terms and badges. One of the more prominent ones is 64-bit. Read More . Other reasons to use a 64-bit system include faster processing and faster memory mapping, but the downsides include requiring a 64-bit CPU and potential incompatibilities with 32-bit drivers and 32-bit software. Fortunately, the downsides become less noticeable with every year. Long story short, both Windows and Linux are more than good enough to do what you need them to do. Neither is deficient, neither is strictly better than the other. The only thing that truly matters is which one you’re more comfortable using Which Operating System Should You Choose for Your Next PC Which Operating System Should You Choose for Your Next PC Buying a new PC? You have more operating system choices than ever. Which should you choose? We'll give you an overview, along with advantages and disadvantages. Spoiler: There's no one best option! Read More . If you do want to compare them, see our overview of the key differences between Windows and Linux 7 Key Differences Between Windows & Linux You Should Know About Before Switching 7 Key Differences Between Windows & Linux You Should Know About Before Switching Read More . Also consider these signs that you may be happier on Linux 7 Warning Signs That You're Meant to Switch to Linux 7 Warning Signs That You're Meant to Switch to Linux I was a Windows user for years, but was doing things that have taught me I'm a Linux user at heart. Wondering if you're a secret Linux user? Here are the warning signs. Read More . But most of all, remember that you can run both operating systems side-by-side What's the Best Way to Run Multiple Operating Systems on Your PC? What's the Best Way to Run Multiple Operating Systems on Your PC? Undecided between Windows and Linux? It's possible to run multiple OSes on a single machine either by dual booting or using a virtual machine. Let's find out which one is best for you. Read More , either through dual-booting or virtualization. What do you think: Windows or Linux? Isn’t it time we stop arguing about how they’re different and be happy that they both exist? Share your thoughts in the comments below! Explore more about: Linux Bash Shell, Operating Systems, PowerShell, Task View, Virtual Desktop. Sorry, but this article needs a major correction. In an ideal world, yes, there are a lot of so called similarities between the two. However, this not an ideal world and so one finds that one has to choose one or the other OS to actually get work done. I was an avid Windows fan ever since 3.1. Loved it. I toyed with Linux but never found it stable enough to do anything serious with. That is, until Windows 10 came along. It is a broken, bloated, useless OS. A perfect picture of trying to 'fix' something that didn't need fixing (XP and/or Seven). It got so bad that my wife and I, both, switched to Linux. In the two year of using Linux, we have NEVER had even one tiny issue. Will we ever go back to Windows? Maybe, if they ever scrap Windows 10 and move on to something that will actually work, but for now, we're actually getting stuff done on Linux. Don't forget, as far back as Windows XP there WAS a 'virtual desktop manager' available as part of the PowerToys set of add-ons/enhancements. I discovered about a year before EOL for Windows XP; it was a bit cumbersome, and lacked features compared to the Linux implementation.....but it was a step in the right direction. And didn't it make a difference to my workflow....! These days, I use Puppy Linux exclusively. Virtual desktops are there aplenty, and most of my old XP apps run nicely under WINE. For the last couple of years I ran nothing but portable apps on XP, and with next to no exceptions, these run well under WINE. I used XP for its entire 13 year lifespan.....and Win98 and 95 before that. At EOL, I was simply ready for a change.....hence, the switch to Linux.